A young woman who was bitten by a snake walked into a hospital in China holding the snake with her bare hands. 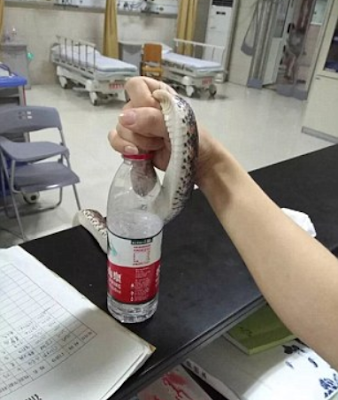 She caught the reptile after it bit her, held the animal around her wrist and calmly went to the ER so the medics could identify it, according to a hospital in eastern China’s Zhejiang Province. 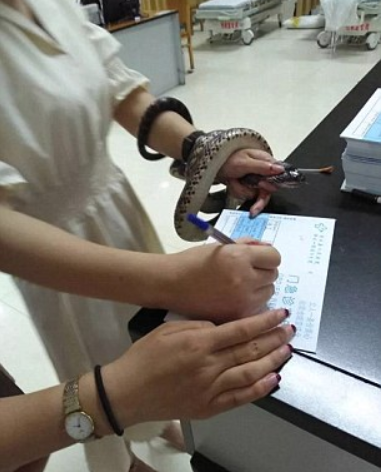 Huang Shengqiang, the ER doctor who treated the woman, said the snake was a non-venomous red-banded snake. 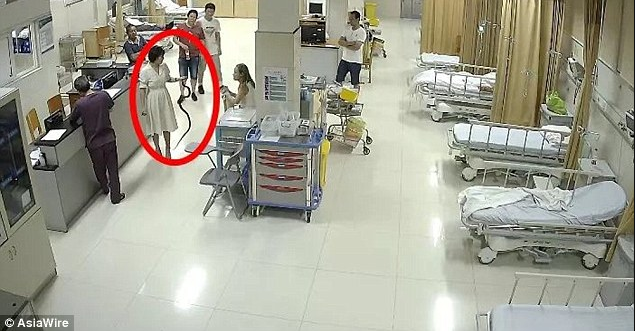 Dr Huang said there was no swelling around the patient’s wound, so he gave her simple treatment. Members of the public have hailed the woman for her strength and for remaining calm in the face of a crisis.